I want to expand on a topic Bill Maya mentioned in his last post on Inform 7. But first a question – Why are real numbers and equations so important in storyworlds? But this raises the question: why do numbers matter? Isn’t storytelling all about words and characters? I published a brief comment on Gamasutra announcing my willingness to lead a team to make this technology available to all. Basically, nobody was interested, so nothing came of it. I ended up writing a little face editor in Java for use in Siboot. 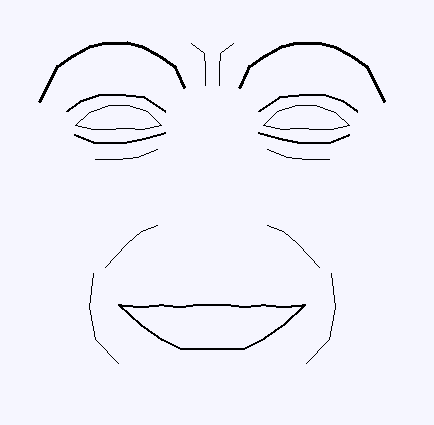 This tool allowed a storyworld builder to create, edit, and display faces. It didn’t produce photorealistic images: the intention was to get something more like “serious cartoon faces” that could exhibit a broad range of emotional expressions.